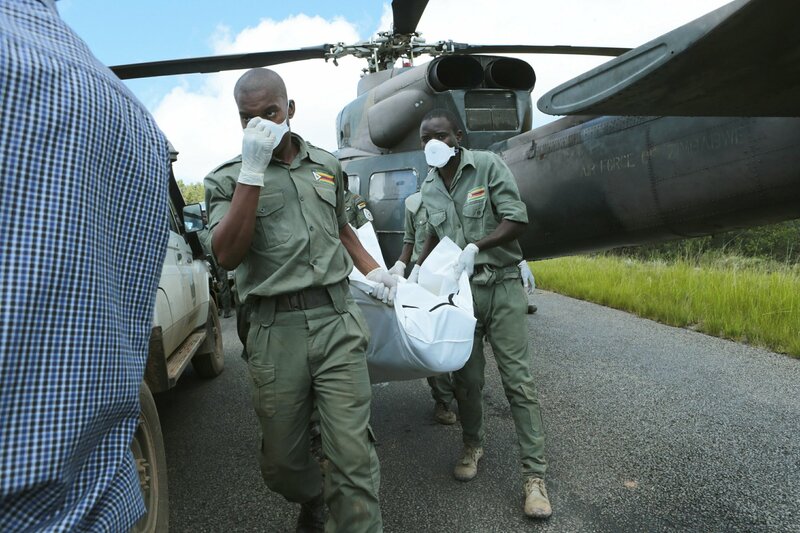 Rescuers carry a body from a military helicopter in Chimanimani, about 600km south east of Harare, Zimbabwe. “Floodwaters are predicted to rise significantly in the coming days and 350,000 people are at risk,” the UN office said. 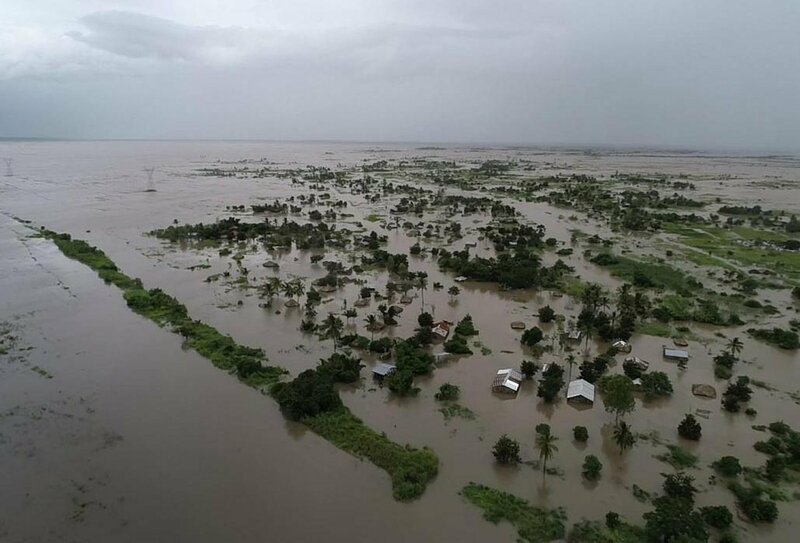 Rapidly rising floodwaters have created "an inland ocean" in the country endangering many thousands of families, as aid organisations scramble to rescue and provide food to survivors of Cyclone Idai. Entire villages were swept away, said General Joe Muzvidziwa, who was leading the military’s rescue efforts in Zimbabwe. Some people had been out at beer halls when the cyclone hit and came home to find nothing left. Mozambique’s President Filipe Nyusi said late on Tuesday that more than 200 people were confirmed dead in his country. After flying over the affected region on Monday, he said he expected the death toll to be more than 1000. Aid workers were shocked as they arrived in the Mozambique port city of Beira, estimated to be 90% destroyed. The 500,000 residents of the city, which has some neighbourhoods that are below sea level, were scrambling for food, fuel and medicine. The United Arab Emirates pledged $US4.9 million ($NZ7 million) to Mozambique, Zimbabwe and Malawi, the Emirates News Agency reported, citing the Emirates Red Crescent. Norway said it was providing $US700,000. The chairman of the African Union Commission said it would provide $US350,000 in immediate support to the countries, and the United Nations allocated $US20 million. The European Union released $US3.9 million in emergency aid, and Britain pledged up to $US7.9 million. Tanzania’s military has sent 238 tons of food and medicine, and three Indian naval ships have been diverted to Beira to help with evacuations and other efforts.